We have recently returned to Rutea after what we hope is our final provisioning trip; it’s late in the afternoon; it’s very hot and I’m sipping a very refreshing margarita that’s jammed with big chunks of ice. Earlier in the afternoon, we were given a large plastic bag of fish by some local fishermen who were prompted into their generous mood by our offer to give them the old batteries we were replacing. To look at their faces, you might have thought they had just won the lottery instead of eight badly worn out golf cart batteries. I’m sure the fish didn’t represent an extravagant gift on their part but it was a polite effort and the size of fish immediately made me think of fish tacos. Hence the margaritas to go with them. Several well-calculated stops at various duty-free shops in airports around the world have secured the necessary ingredients. The national capitol of the Maldives is Malé and we’ve been anchored just outside of the city for the last 10 days. While I wouldn’t call the city cosmopolitan, it does have a definite flair and cache – from time to time you’ll see a big, black Mercedes-Benz sedan with consular flags on the front fenders, something ironic in this city of mostly motor scooters and very narrow streets. The city’s population is busting at the seams of this small island, in which you can walk from one end of the island to the other in less than an hour. 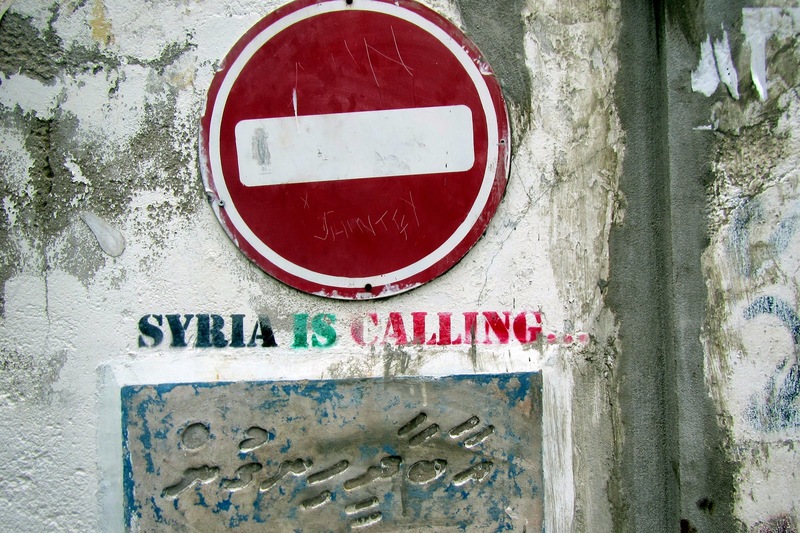 Many, if not most, of the people who work in the city live on another island called Hulhumalé, a man-made island that is also home to the international airport. 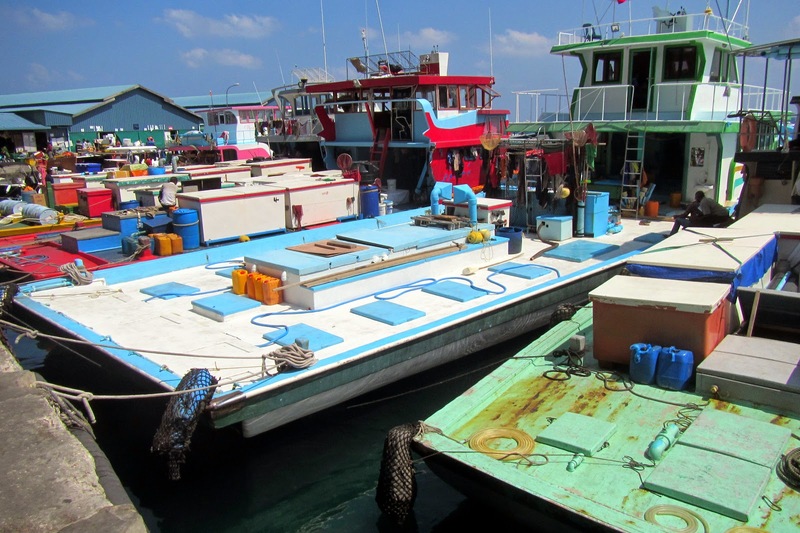 There are plans to build a bridge to connect the two islands but for now a fleet of ferries haul passengers, motor scooters, freight and the occasional cruiser back and forth. The cost is 5.5 Maldivian rufia, or about US$0.33 each way and takes about 15 minutes. The ferries hold about 100 passengers and about 20 motor scooters; there are wooden benches where white plastic resin chairs have been screwed down, their legs cut off. The ferries are always crowded. 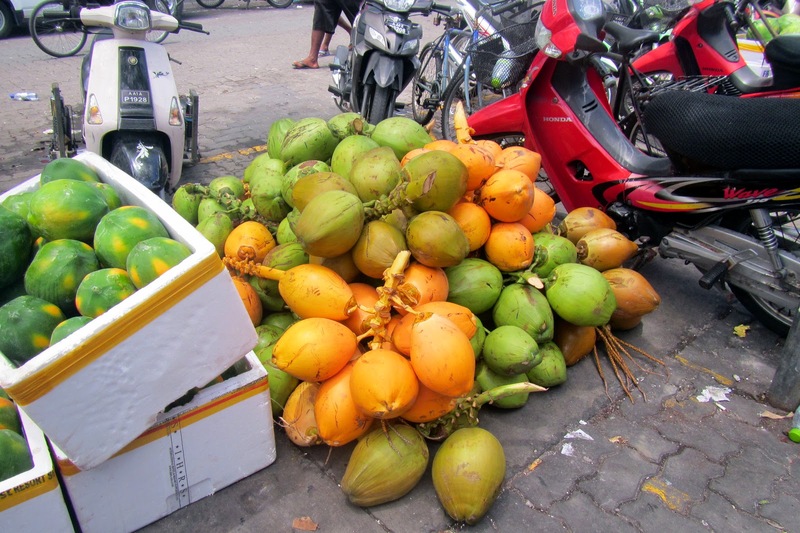 Malé does not have any trendy shopping centers, upscale coffee shops or liquor stores but it does have very interesting markets where produce from all over the world is on display. Being a nation of coral atolls, the Maldives cannot grow even the simplest crop with perhaps the exception being coconuts. Everything is imported. Fish is a big crop though and the wharfs are lined with 60’-70’ wooden fishing boats, low in freeboard and free of bulwarks from the midship aft. 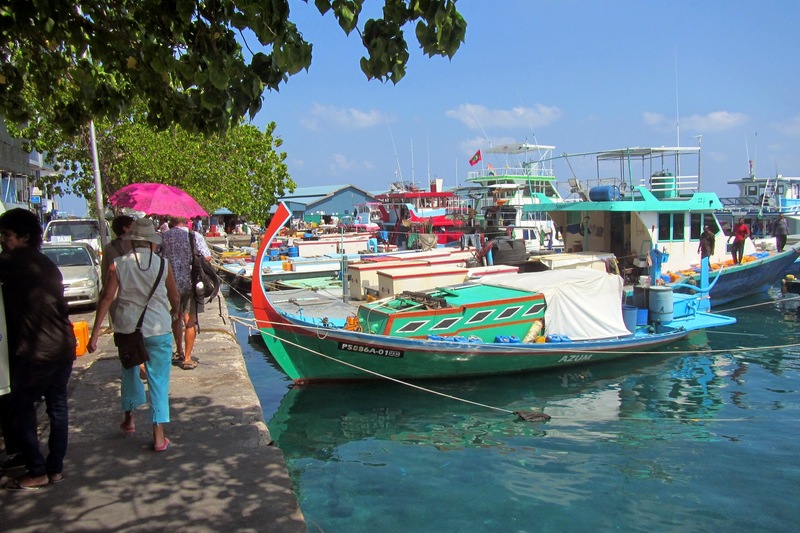 The Maldives are a very devout Islamic nation and many stores close several times a day for prayers. All stores close for the lunch hour and Friday is their day off. Women who don’t wear a burqa or even a hajib are in the minority. No one has said anything to Ruthie about not having her head covered but this country depends heavily on tourism so it’s unlikely anyone would actually say something. 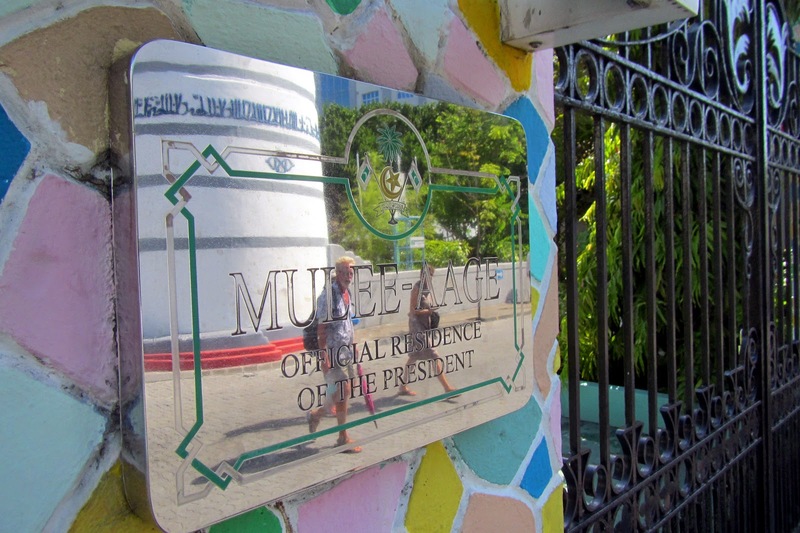 Alas, our time in Malé draws nigh and we will miss this unique city. We have enjoyed the restaurants, the amenities, the hustle/bustle that is often so contradictory to our cruising way of life. There is much left to explore in the Maldives but the clock on our visas is ticking so we’ll soon weigh anchor and continue sailing the Indian Ocean.